Are you thinking about assisted living for yourself or a loved one and not sure where to turn? Ridge Assisted Living provides the best of individual care, while while benefiting from a supportive loving lifestyle, companionship and activity. Living at a Ridge Assisted Living community is a unique and enjoyable experience. Every time you step though our doors, you will know you are walking into your home. The wonderful aroma of freshly prepared meals fills the air and you can hear laughter coming from the common room during an entertaining group activity or game. You might even be greeted by the wagging tail of one of our resident’s beloved pet. Our communities have old world charm with new world technologies to help ensure the best of care in a warm, peaceful environment. We get to know each resident on a personal level. We consider everyone as family and, like family, we care and support them. Our goal is for each member of the Ridge family to be happy and comfortable in their new home. We provide individualized care in a safe and nurturing environment. We are able to accommodate all levels of care so that couples with different needs can live happily with us. This eliminates the necessity for a resident to relocate if their level of care changes. 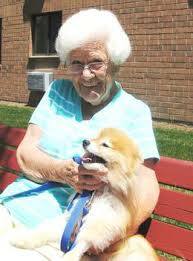 We try to integrate individualized activity programs into our resident care plans. Besides traditional exercise and games this might include music therapy, art therapy, pet therapy and other social activities. Our accommodations range from spacious semi-private accommodations to private rooms with large sunny windows and private baths. Residents are always encouraged to bring their belongings into their new home to make it as cozy and comfortable as possible. Snacks and beverages are available throughout the day unless prohibited by a resident’s physician. Come visit us and see why when you come to live in one of our communities, you are not leaving home, but coming home. 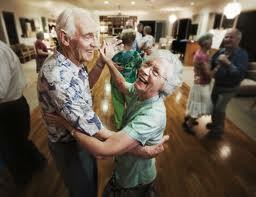 Ridge Assisted Living has two gracious, old world charm communities for you to consider in the Sacramento area. Our website provides an array of information that will help you answer your questions and concerns as well as information on how we provide top quality assisted living for our residents. We consider you family and help you feel comfortable in your new home.